Physical characteristics: The chimney swift is often described as a "cigar with wings." The swift's cylindrical body looks like a cigar. Its plumage is sooty brown (black-brown), and its underparts are gray-brown. 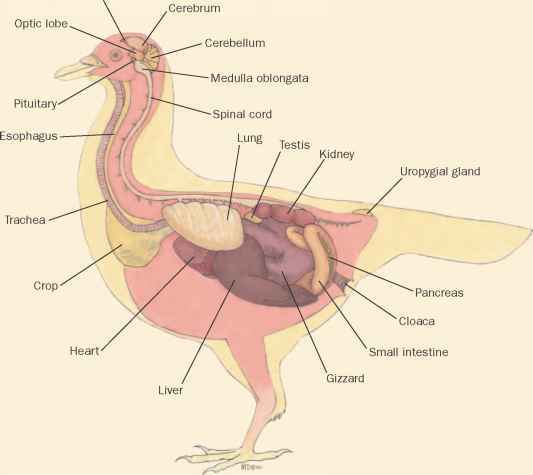 The bird's wings are slightly curved and the tail only shows when it is spread. Chimney swifts range in length from 4.6 to 5.4 inches (12 to 14 centimeters), and weigh from 0.8 to 1.0 ounces (20 to 23 grams). 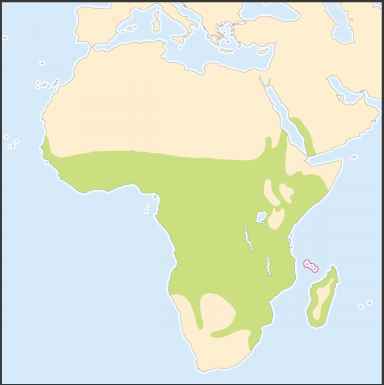 Geographic range: Chimney swifts live and breed in the United States and Canada. They are found east of the Rocky Mountains in both countries. The swifts migrate through Central America and spend winters in South American countries including Peru and Chile. Habitat: Chimney swifts live in forests and in cities. Birds once nested in hollow trees, but they now build nests in empty chimneys, well shafts, silos, and sometimes in building attics. Nests are located just below the opening of the structure. Diet: Chimney swifts eat flying insects such as flies, ants, and beetles. They sometimes eat spiders. 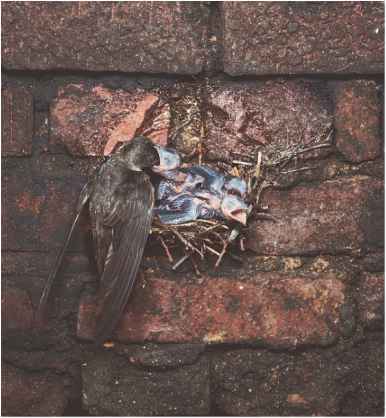 Behavior and reproduction: Chimney swifts are sociable and travel with a colony. Birds may stay in the air until they are ready to nest. These birds are monogamous. In the nesting season, chimney swifts build nests with twigs that they break from trees. They use saliva to attach the nest vertically (with the opening lengthwise) to the side of a hollow tree or chimney. The female lays two to seven eggs between May and July, and the eggs hatch within nineteen to twenty-one days. Chicks fledge (grow flying feathers) in twenty-eight to thirty days. The young swifts may leave the nest a week before growing their feathers. Chimney swifts and people: People have long watched the swifts fly south for the winter. In addition, the North American Chimney Swift Nest Research Project in Texas is tracking the birds' migration. The group wants to develop towers where swifts can roost.